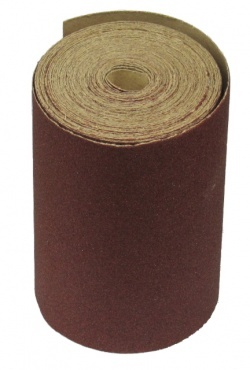 Abrasives World Woodworking Sanding Rolls - Aluminium Oxide Paper - Wood Smoothing. Applications: These aluminium oxide sanding rolls are suitable for mild steel and cast iron as well as hard and soft wood, panels and MDF. Supplied in handy 10m rolls they are useful in any workshop. Can easily be cut to length for use on palm sanders or half sheet sanders. Open coat finish to maintain performance. 115mm width suits half-sheet and many palm sanders.